Information about opportunities for your students. 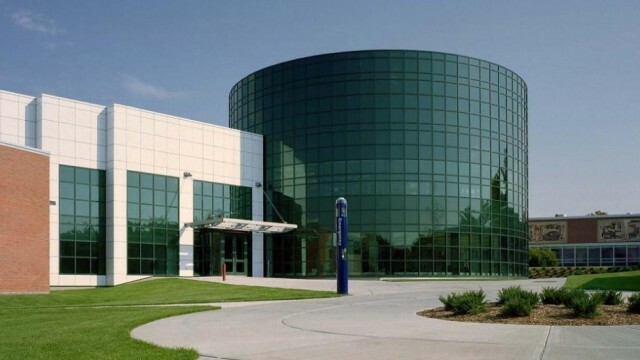 Bring your band to the UConn Campus at 2:45 PM on any Tuesday or Thursday from September 18th to November 1st, and we will prepare your own “UConn Band Day” tailored to your program’s musical and/or marching needs We will discuss the experience level of your band and your overall goals for your visit. We’ll plan activities suited specifically to your program. Your clinic will run from 2:30 to 3:50 PM, and then your students will have the opportunity to observe the UCMB in action from 4:00 to 6:00 PM. You are invited to stay as long as you would like. Some previous participants have chosen to take an ice cream break at the nearby UConn Dairy Bar and return for the full-ensemble portion of the UCMB Rehearsal. Others enjoy the warm-up, fundamental refinement session, sectionals, and eventually full ensemble. Or we can customize a lesson plan exactly for what your band needs! You may want a simple marching and music session with our Make Your Own Band Day coordinators and facilitators. We also have a unique and effective method of teaching parade marching and parade turns on our field! Or, you may wish to have your band perform a full field show for advice and comment from our staff. At 4:00 PM, the UCMB will take the field for rehearsal. This is a great opportunity for your band and it will give your students a very special experience. Contact us and we will tailor a plan just for your band! Recieve instruction and, more importantly, modeling from our best student leaders. Visit a top 25 public university campus. Observe an innovative university band in action – there IS musical life after high school! 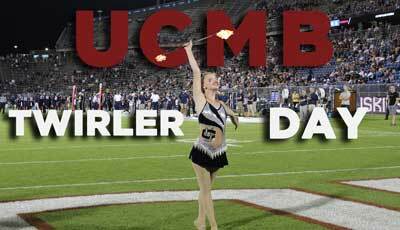 You can email us at uconn.myobd@gmail.com or call the UCMB Office at 860-486-2368. Band Day is back! 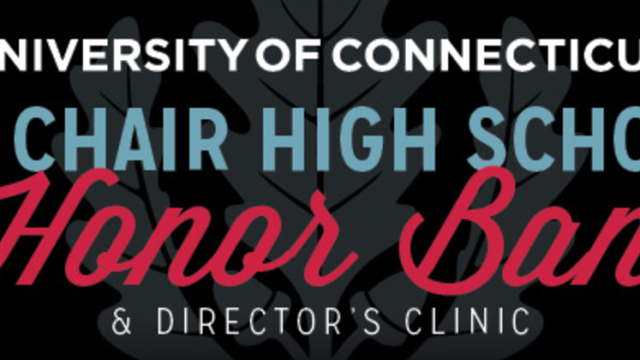 High school bands are invited to join the University of Connecticut Marching Band (UCMB) for a day of rehearsal and an exciting halftime performance at Rentschler Field to the music of Bruno Mars! This opportunity offers high school musicians a glimpse of what it is like to perform in front of a Division 1 college audience. Registration is limited, so don’t delay! Spots will be filled on a first come, first served basis. More information will be posted on this page and sent to participants as it becomes available. Please contact us at office@uconnband.org with questions. Subscribe to our mailing list to receive emails and/or printed materials with membership information and opportunities for your students.